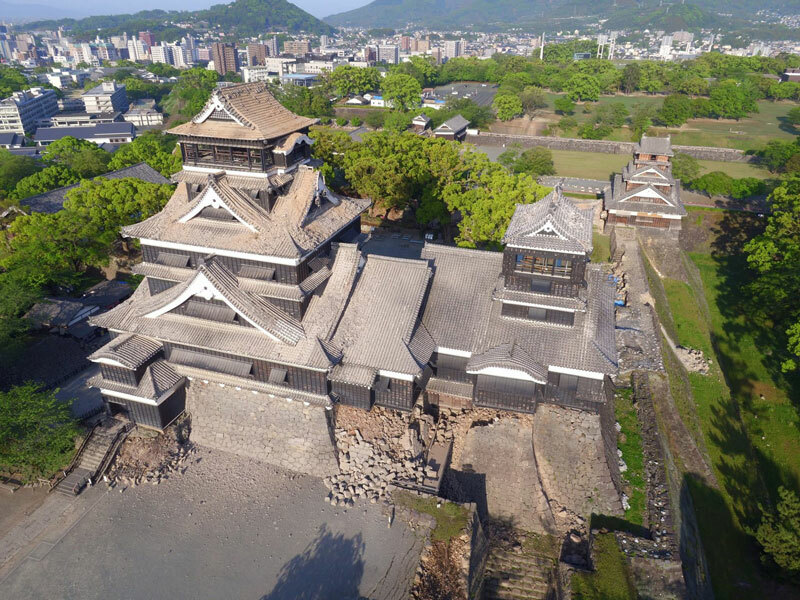 At around 9:26PM on April 14, 2016, a 6.4-magnitute earthquake occurred with Kyushu region at its epicenter. 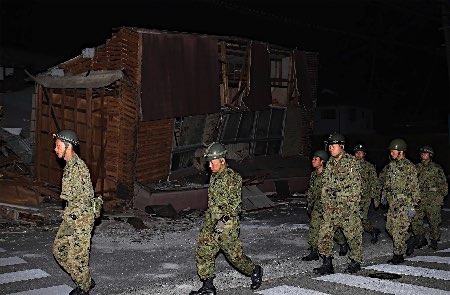 Mashiki Town, Kumamoto Prefecture experienced fierce shaking, which recorded 7 on the Japanese seismic scale. 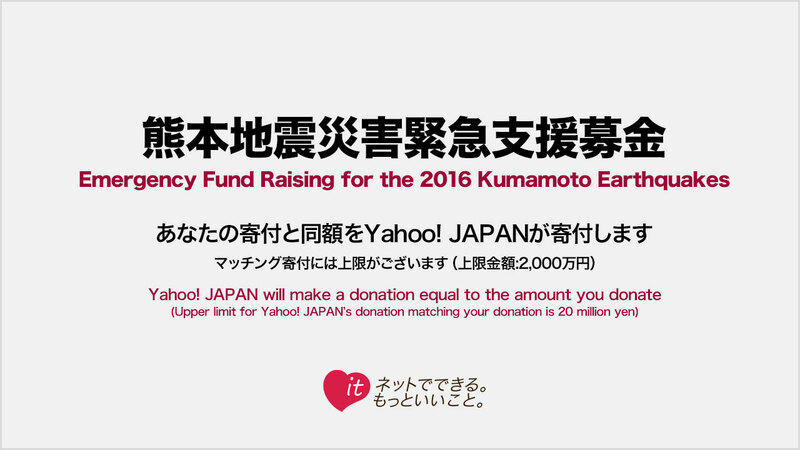 In order to support the people and areas affected by the earthquakes, Yahoo! Fund has created an emergency fund raising. Donations can also be made by T-points, starting from just 1 point. In this fund raising, Yahoo! JAPAN will match your donation up to 20 million yen. If you donate 100 yen, Yahoo! JAPAN will also donate 100 yen, making the total donation 200 yen. The donation will be used to support the people affected by the disaster, and we hereby ask for your generous cooperation. Yahoo! JAPAN's donation (the donation matched by Yahoo! JAPAN to double your donation amount) has been terminated because it has hit the upper limit of 20 million yen. However, Yahoo! JAPAN continues to accept donations for this fund raising. 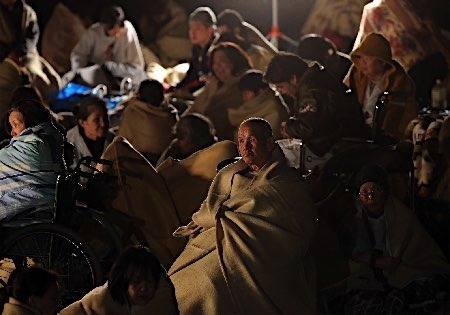 The donations will be donated to the disaster affected areas through the Central Community Chest of Japan and others. The donations will be used for relief funds, as well as for disaster recovery activities and various support activities. (before) through the Central Community Chest of Japan. (after) through the Central Community Chest of Japan and others. *Donations can be made by credit cards that are registered in Yahoo! Wallet. Please note that 5% of your donation amount will be deducted as credit card handling fee, etc.